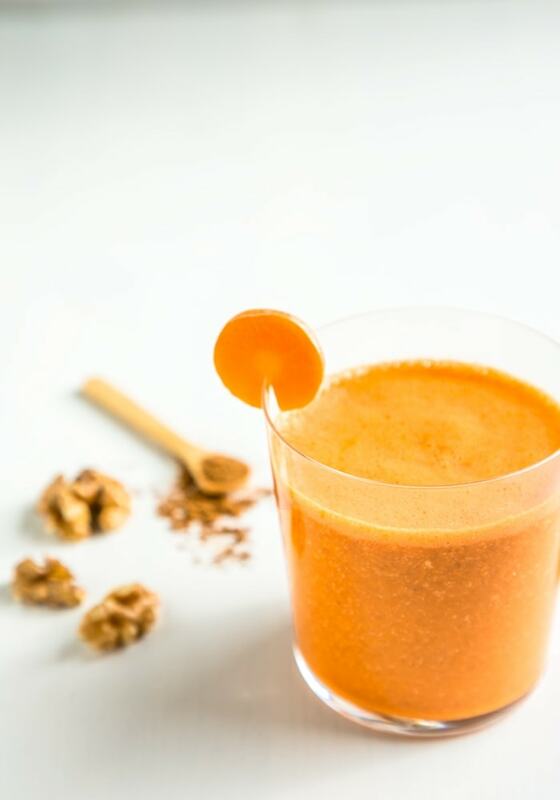 This easy Carrot Cake Smoothie tastes like a delicious slice of carrot cake, but it’s made with healthy, wholesome fresh ingredients. Plus, it’s naturally sweet, vegan and gluten-free! Place all the ingredients in a powerful blender and blend until smooth and creamy.